As we watch what is going on in the Baltimore riots, many have seen the story of Toya Graham who went to the scene, found her 16 year old son and brought him home. Toya takes her job of a mother seriously. As she told WMAR: "I'm a no-tolerant mother. Everybody who knows me, knows I don't play that, he knew. He knew he was in trouble." Toya's story is our story. Our job is to go outside and find those people/things/events that we can have influence on and uplift them. If Toya would have stayed home, she would not have been able to get her son. She needed to go out of her "safety zone" to bring him home. Toya told CNN: "There are some days I'll shield him in the house just so he won't go outside." There are times that we need to bring the outside elements into our ‘safety zone’ to continue protecting them to ultimately uplift them to a higher level. We see this message as well in this week's Torah portions; the high priest is told "that he should not come at all times into the Holy" - we cannot spend all of our time in the "holy", one’s personal spiritual service of G-d. When we go, at the right time, into our personal holy space, the Torah instructs us: With this shall the high priest, Aaron, enter the Holy; only when he has a pan full of burning coals and hands full of fine incense. Once he is there, he shall place the incense upon the fire, before the Lord, so that the cloud of the incense shall envelope the ark cover that is over the [tablets of] Testimony. Only once inside the Holy of Holies is he to place the incense on the coals. The incense included galbanum, a bitter but potent fragrance, teaching us that even in our holiest place we must remember it’s our job to uplift those who feel bitter. So get out there and uplift someone else and make the world a better place – this too is part and parcel of our spiritual service. a) Call Sally directly and tell her that he is upset that she is talking about him and hopes it won’t happen again; he values their relationship and he is afraid that these types of things will get in the way. b) Send a message with a friend to tell Sally that her actions were improper. However, the messenger should wait until Sally returns from vacation to relay the message. Until she gets back it is like it did not happen. 1) He shares with us that the mistakes are getting in between our relationship with Him, and He hopes that we will look for ways to repair the relationship – starting with not doing the misdeed again. 2) G-d will send us a message that the misdeeds are not ok but will wait until we complete doing the mitzvah and the good deed that we are in middle of. We should try to find ways to make amends with those that we hurt or that hurt us. Nonetheless, this should not take away from respecting the good that they do! Which way is better? It’s an argument in the Talmud – for more on this argument and how these disagreements developed join us for the upcoming JLI course in Harford County at www.HarfordJLI.com (elsewhere at www.MyJLI.com ). At some time or another, we have all tried to become a better person, grow in our business or spirituality or all of the above. One of the challenges that we encounter when we are on a journey of growth is the “bump in the road”. When we hit a place on our journey that makes us question why we are taking this path. We may ask; why am I on this diet? Did I really commit to lighting Shabbat candles every week? These webinars are taking up so much time, is it worth it? With this amount of college debt, when will my degree pay off? However, the most essential question that we ask is WHO AM I? Meaning, is this really me? Is this really what I want to do? There are two parts of the human 1) their animal instincts (I want more free time, I want better food, I want more money) and 2) Their noble instincts (volunteerism, learning and intellectual stimulation, spiritual growth, self-refinement). Now, while noble acts can be done for ignoble reasons like ego, honor and fame, in the end the good was done. When a person is on a journey and they hit a bump they should remember that growth is a two-step process: first step is to channel the animalistic instincts toward a nobler path (food to serve G-d, time to spend with family, money to support good causes) and the second step is to recreate the motivation of our actions to be altruistic and less egocentric. To answer the question “who am I”? I am a noble person who needs to review step one and step two. In Judaism we traditionally work on step two between Passover and Shavuot through the 7 week process of self-refinement called Sfiras HaOmer. 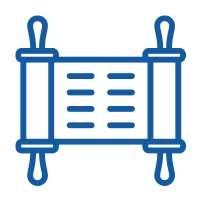 Learn more about it and get the new “Omer App” for your phone here. The other day, as the weather turned more spring like, the kids ran out the back door to play. Noticing their bare feet, I told them to come back in and get their shoes. Shoes are one of those interesting clothing objects; they are there to protect the feet from outside elements. Many people do not wear shoes inside or when they feel that the ground is safe from external influences like rocks, stones and splinters. When one needs to enter into the mundane world where they can be hurt by outside influences, even if it’s only their feet, they must wear appropriate clothing - in this case shoes, to protect them. The beginning of Passover is focused on the Jews’ redemption from Egypt. The end of Passover, we focus on the future redemption with the coming of Moshiach. At the time of the final redemption, some think we will only go with our heads and the bare necessities we must engage in e.g. food, drink etc. What the prophet is telling us is that we will also leave exile with our shoes. For us to hasten the coming of Moshiach, we need to engage those things that seem to be thorns and rocks holding us back from growth. We need to recognize that when Moshiach comes they will be coming with us and we will repurpose them for G-dliness. This past Sunday wasn't the usual funday. You see, we decided that we'd do Passover cleaning as a family. Yup, we pulled out all the drawers, cabinets, clothes, toys etc. We shook them out, vacuumed them and on and on, in search for the elusive piece of chametz (leavened foods, including bread, cookies, cereal etc.) that might have somehow fallen in, or, been smuggled in, (or been brought downstairs illegally by one of the kids). After about 30 minutes, our enthusiasm was waning and as we hit the hour marker, we were in full regret mode. But we tried to stay positive and upbeateven if it was just for ourselves, at least until the two hour ice cream break mark. AND THEN IT HAPPENED. You got it. At roughly 14:00 o'clock in the toy room, under a toy shelf, I saw it. It stood there in its full arrogant pomposity, glaring at me for daring to upset it from its comfortable perch. It looked at me, I looked at it, wondering who'd blink first. It was a wayward cheerio. Honey nut, I believe. The glint off the sheen of its nutty belly gave away its identity. This was no joking matter. This whole day's exercise was exactly for this moment. For me to eradicate and destroy, eviscerate and obliterate, any vestige of chametz. And here was this pretentious mini-bread/leaven brazenly resting at the foot of the toy cabinet. How dare it. The sheer chutzpah! I grabbed my trusty Sears Kenmore vac and aimed the wand at the cheerio. I neared it. At first it wiggled, then it tried to stay in place, but eventually the force of suction and my determination got the upper, and it was dislodged and sucked into the vacuum bag where it will ultimately meet its maker in General Mills heaven when I put the vacuum bag to its final rest in a dumpster nearby. And then it hit me. Really? Seriously? Does G-d really care if a Cheerio lives in my house over Pesach? I mean, yes, you gotta spring clean. It's good for the house, good for the kids to learn some domestic ethics, like the fact that clothing and toys don't pick themselves up. But really, does G-d really care if there is a wayward piece of cake, cookie, challah, cereal or any chametz hidden off in some corner, deep in the recesses of the house somewhere? There are many important answers to this question, but it is one of the mystical answers that resonates deeply with me. The Exodus from the original Egypt was a journey from physical slavery to physical freedom. The modern day Exodus is a person's journey from personal slavery-be it mental, emotional, spiritual or any matter that doesn't allow you to reach your full potential-to freedom, to "be all that you can be." There are many factors that may inhibit us from reaching our fullest self. Fear, fear of failure, anxiety, worry, too much sense of self, too little sense of self and so on. What is most often at the core of any of these inhibitors is the ego. To quote recovery expert ShaisTaub, E.G.O. 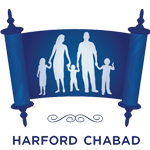 is an acronym for Edging G-d Out - (www.Harfordchabad.org/1761300). Ego, in its most literal sense, gets us into trouble so often. Why do we get upset at other people? Because they called us a name, made fun of us, didn't invite us to..., etc. What is the root of all that? Ego. If we didn't have an inflated sense of self, we wouldn't be bothered by any of the above. Why do we cower in fear of taking new leaps and striving for higher? Is it because we fear failure? What is at the core of that? Again, ego. If we had an appropriate and accurate sense of self, we wouldn't think of ourselves as "all that and then some". If we succeed, great, if not, well, it wasn't meant to be. Now, in the real world, we don't have the luxury of waxing poetic as I am doing right now, and we don't take the time to think deep thoughts and theorize and philosophize about deep hypotheticals, because the burdens of the journey of life consume us. Come Pesach, and the preparatory weeks leading up to it, we need (, even it is painful,) to slow it down a bit and search for the Honey nut Cheerio that may be lurking in the deepest recesses of our soul and psyche. For one week a year, we must banish any form of chametz, ego, the edging of G-d out, from our lives. We need to open all cabinets (read - food), empty all drawers (read - projects of importance, real or imagined), dump out the toy box (our inner child that may be too immature to make the next move), move the couch from the wall (read - our lazy side that couches relaxation in laziness -pun intended), take books off the bookshelves (read - our pseudo-philosophical side that hides behind fancy words and philosophies that absolve us, in our minds, from that hard work that must be done) , because it is not certain where some misplaced sense of inflated self may be hidden. It is not easy to confront the chametz devil, but we have the time now and a rich history of righteous people before us who have shown us how to do it. Now, we just have to pick up the vacuum cleaner and start. One drawer at time, one shelf at a time, because the tendency to edge G-d out is so harmful, that even one petrified Cheerio can be the reason for our lack of progress. And that, my friends, is my answer. Yes, G-d does care. Not because of a particular dislike for Cheerios, but for all that it represents. A parent who loves their child, hates anything that can hurt their child. In the case of Pesach, chametz (read - ego) wherever it may be found, hurts G-d's children, and He says, I don't want it seen, I don't even want it found on your property, for the 7-8 days of Pesach!